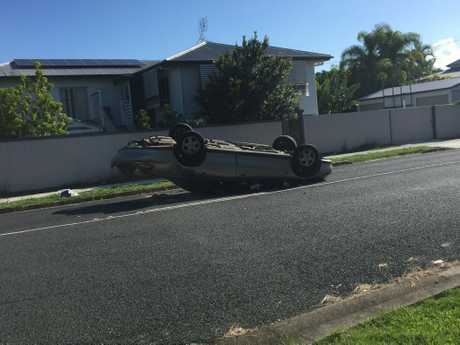 AMBULANCE officers have taken a person to hospital and a car is on its roof after a two-car crash on Churchill St, Maryborough. The car is overturned in the middle of the Tooley St intersection. The sedan and four-wheel drive collided about 2.30pm on Friday. Two ambulances and a fire crew are on the scene. A person was stretchered into one of the ambulances. Police are at the scene and directing traffic.